"Ms. Ludwig", founder of Berkshire Strings, is a teacher, director and promoter. Her studio in South Egremont, MA, provides private lessons and classes, hosts the Fiddling Femmes: Group Lessons for Women and the Berkshire Strings Jam Sessions. The Studio mission of "Instruction and Inspiration" brings musical artists to the area for workshops and concerts. Erika plays violin, viola, recorder, piano, mandolin and guitar, composes songs and performs on rare occasion. Berkshire Summer Strings is in it's 5th year, celebrating of a growing community of youth musicians, devoted adult student groups and a dedicated, talented staff. Mia Friedman is a virtuosic fiddler and singer as well as a composer and educator. Her song “Across the Water” won the 2010 John Lennon Songwriting Contest in the folk category, and she was the 2006 New Hampshire Highland Games Scottish Fiddle Champion. She is largely influenced by American roots music and old-time Appalachian traditions, and blends this with contemporary music in her compositions. Mia tours throughout the US and abroad with her sister duo, Ari & Mia, both award-winning songwriters and highly acclaimed as New England's Americana sister act. She also plays with Hollow Deck—a duo of tape collage, vocals, and woodwinds—and avant-garde rock band, Creative Healing. 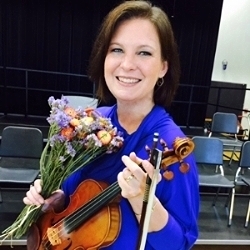 She teaches at the Community Music School of Springfield, and leads elementary and high school string programs in five public schools in Springfield, MA. She is the orchestra teacher at The Hartsbrook Waldorf School, and has a private studio of fiddle students, leads adult music classes, and teaches at many traditional fiddle music camps during the summer. Mia graduated from New England Conservatory in 2012 where she studied with Anthony Coleman, Carla Kihlstedt, and Hankus Netsky. Based in the Hudson Valley, Aldo is a full-time music teacher, composer and performer. He runs the Hawthorne Valley School children's fiddle group, two other adult fiddle groups in the region, and plays for contra and square-dances. Together with his group “The Russet Trio”, he started a thriving local dance in Chatham NY, now in its 9th year. In 2004, Aldo toured Europe as a solo street performer for 12 months immersing himself in the rich musical traditions of Scotland, Ireland and Scandinavia. In 2012 and 2013, he taught fiddle at both Pinewoods and Northern Week music & dance camps. For the past 4 years he has collaborated with the Free Columbia Puppetry Troupe, composing and compiling music for puppet theatre. As a boy growing up in Woodstock NY, Aldo was fortunate to study fiddle for seven years with local great Jay Ungar, who remains a great influence in his life. Ariel Friedman is a multi-genre cellist, composer, and educator. A winner of ASTA’s Alternative Styles Award, she is steeped both in the music of American roots traditions and a broad range of classical repertoire. She has performed and toured with many folk-based groups including Scottish National Fiddle champion Hanneke Cassel, the Sail Away Ladies, and Childsplay. An advocate of new music and a composer herself, she is the founding cellist of Cardamom Quartet, performs with Boston Modern Orchestra Project, and has written music for and collaborated with many ensembles including Palaver Strings, Box Not Found, DC-based pianist and composer Sam Post, and the young artists of the Boston University Tanglewood Institute. In high demand as an educator, Ariel teaches at Brookline Music School and has her own private studio. She has taught at music camps and workshops from New England to New Zealand. Ariel graduated from Northwestern University in 2008 and received a Masters of Music from New England Conservatory in 2011. She is one of two 2018 recipients of New England Conservatory's Alumni Award. Equally at home on violin (fiddle) and viola, Eric Martin is a traditional dance and folk musician with a background in classical music and music education. Eric enjoys the freedom and improvisation inherent in traditional music and has played for English country dances, contra dances, festivals, balls, and concerts with numerous groups including Bottom of the Bucket, The Flying Garbanzos, Coincidance, Common Thread, and Alchemy. Eric has been staff member at CDSS (Country Dance and Song Society) and FAC (Folk Arts Center New England) camps at Pinewoods and will be on staff at Ashokan northern week this summer teaching English Country Dance fiddling. Eric holds performance degrees from Ithaca College and the University of Limerick, Ireland and along with his family, lives and works at Gould Farm, a therapeutic farming community in the Berkshires. Jordan Tice is a singular voice on the American roots music scene. Over the last ten years, he has developed a reputation as a unique and versatile guitarist and prolific composer of some of the most thoughtful and well-crafted tunes of his generation. He has released four solo records of original music to critical acclaim and has worked as a sideman to some of the biggest names in acoustic music such as Dave Rawlings, Tony Trischka, Mark Schatz, the Duhks, and actor/comedian Steve Martin. His current release, Horse County, features his singing and songwriting in addition to his established tune writing and guitar picking skills with a sound that calls to mind the music of Roger Miller, John Hartford, and Norman Blake. In addition to his solo work and work as a sideman he is also a part of the instrumental power trio, Haas Kowert Tice, with fiddler Brittany Haas and bassist Paul Kowert. They released their debut record in 2014 and will be releasing their follow up in 2017. Jeff Lewis is an entertainer, songwriter, singer and player of many instruments. His love for traditional music began as a child on the coast of Maine, where fiddles, mandolins, and banjos are part of the landscape. Since 2011, he has been based in Northampton MA as a core member of Sun Parade, a nationally touring rock and roll ensemble. While Jeff is occupied most of the time with electric guitars and sizzling pop melodies, he continues to study, teach, and perform traditional music, particularly fiddle tunes of the Northeast, greater Appalachia, and British Isles. He also has a sweet tooth for bluegrass. Jeff also loves to work in kitchens, gardens, and recording studios. He has taught at Maine Fiddle Camp since 2007 and believes in magic. Bennett Konesni is an internationally-touring traditional musician, performing with several bands and teaching workshops to folks eager to learn from his vast library of worksongs for field and forest, which he uses regularly on their own farm in Belfast, Maine. Bennett was naturally drawn into the strong communities of old-time music, art, and farming during his formative years growing up in Maine. He has shipped as a deckhand aboard local schooners, spending five summers sailing Penobscot Bay, learning the traditional work songs of the tall ships as he raised sails and hauled anchors. While at Middlebury College he co-founded a student farm then spent six months studying Zulu farming songs in South Africa. He was awarded a Thomas J Watson fellowship to spend a postgraduate year in Tanzania, Ghana, Mongolia, Vietnam, Switzerland, and Holland studying worksongs of sea, field and steppe. Dabbling in visual art for most of his life as part of an artistic family, Bennett discovered papercutting in 2012 and soon after began exhibiting his works, which generally focus on the culture of food.